Judge Earnest E. Brown, Jr., and the Sixth Division Staff commemorating Red Ribbon Week. The Red Ribbon theme is "Your future is key, so stay drug free." 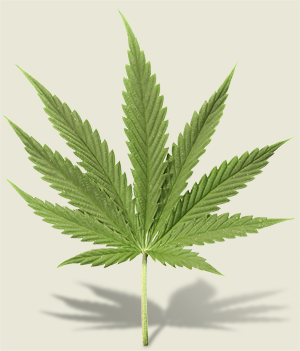 Marijuana is by far the prevalent drug of choice for most of the individuals enrolled in the 6th Division Drug Court. Note: This web page summarizes the 6th Division Drug Court Program. Detailed information may be found in the Participant's Handbook. You may also download a pdf copy of the handbook, click here. If you need drug court forms, click here. Sixth Division Drug Court is an early intervention alternative to traditional court procedures which may be offered to juveniles arrested Jefferson and Lincoln counties for non-violent, non-felony offenses and who appear to be abusing drugs and/or alcohol. “Drug Court” is actually a comprehensive court-supervised treatment program for youthful offenders and their families. Offices of the Prosecuting Attorney, Public Defender, Juvenile Department, United Family Services and other community based organizations are active program partners and provide services supporting the program and its objectives. Crimes that land juveniles in drug court, for the most part, are not violations of drug laws. More often, offenses include shoplifting, disorderly conduct, malicious mischief, and other non-violent misdemeanors. Experience has shown that most juveniles eligible for drug court participation are drug users at varying levels. The predominant drug of choice for these individuals is marijuana. The theory behind drug court is that drug use lies at the root of the problem, therefore, the priority is to deal with the drug problem that encouraged commission of the crime. Participation in the program is voluntary, with contractual obligations incumbent on the juvenile and his parent or guardian. Incentives — rewards for following the rules — come with these obligations. Individuals successfully completing the program may have their records expunged and avoid more strenuous sentencing consequences of their offenses. Conversely, failure to live up to these contractual obligations may result in sanctions being imposed, up to and including the individual being removed from the program. Under these conditions, the juveniles case is returned to Circuit Court for disposition. After delivery by the arresting officers to the appropriate detention facility, the individual is booked into the system by an intake officer of the court. The intake officer performs an initial assessment and makes a report to the Court. If the Court determines that offender is eligible for the drug court program and believes he or she may benefit from the program, an offer is made to the individual to enroll in the program. If the individual accepts the offer, he or she must obey the “drug court program rules.” He or she must also agree to the “program expectations” and sign an agreement to that effect. Family involvement plays a key role in effective drug and alcohol treatment. The individuals parents or guardians are expected to participate will also be required to sign an agreement giving their permission for the individual to participate in the program and be willing to do their part also as program participants. Once the individual is accepted into the program he or she will be assigned a case manager who will perform an in-depth assessment. A drug test may be part of the assessment. The case manager or other staff member is available 24/7 if the program participant or parent needs help in an emergency situation. The case manager will establish the individual ground rules for curfews, work schedules, monitoring, and house arrest should that be necessary. Once a schedule becomes a part of the individual treatment program, only the case manager or court can modify the schedule. The Drug Court treatment lasts for eight months in four distinct phases. In Phase I, the individual is assigned a treatment counselor and is given an in-depth assessment. From this assessment the participant and counselor devise an individual treatment plan. Phase II (2 months minimum) includes all aspects of Phase I plus improving family relationships, vocational, socia, and living skills, and relapse prevention planning. Phase III (1-1/2 months minimum) includes all aspects of Phase I and Phase II plus helping orient new participants to the program if asked, developing an aftercare plan and demonstrating an understanding drug abuse, criminal behavior and relapse prevention. Aftercare - (1-1/2 months minimum) Create a plan including individual expectations, plus expectations the family and Drug Court which helps the participant achieve a continuing sober, healthy and productive lifestyle. Graduation - Upon successful completion of the Drug Court program, participants will be eligible to graduate from the program. Graduation includes a ceremony where the participant may invite family and friends. Participant identity and privacy will be protected consistent with Arkansas and federal laws. In response to these regulations, policies and procedures have been developed which guard your confidentiality. Participants parents or guardian will be asked to sign a waiver authorizing the transfer of information between participating agencies.